Today's business environment is probably the most dynamic one that any business has faced. Increasing competition and globalization, along with the need to produce quality products at best prices, have prompted the industry to introduce new product development methods with modern technology. The need to evolve technologically superior methods of product development holds true, especially for players in the SME segment. The small and medium enterprise sector is widely regarded as the engine of the Indian economy. Small and medium enterprises (SMEs) contribute significantly to industrial, economic, technological and regional development in all developed and developing economies. The key issue facing many SMEs (Small and Medium Enterprises) relates to how they can foster effective innovation using organization supporting mechanisms.Technology plays a crucial role in the development of SMEs. Technology not only helps in evolving a multi-pronged strategy but also in maximising business opportunities for these enterprises. Technologies for SMEs should aim at fuelling innovation and business agility. They should be easy to integrate with existing systems and processes, and help in leveraging communication and information management. Today, most SMEs in rural areas undertake manufacturing using old methods and outdated technology. But today, the competition is fierce, unlike in the past, when buyers were simply looked forward to purchasing the best products at the lowest prices. -Budget constraints: Small to medium-sized enterprises often have complex and industry specific business processes and IT needs, but must address these needs with relatively small budgets and IT staffs. -Staggering Growth: For a large number of SMEs, growth rate can be more significant than that of the Fortune 500 companies. These figures can be in the range of 20 percent, 30 percent or even as much as 50 percent growth per month. At this rate of growth, scalability in a system is necessary to avoid added platform costs. -Agility: ERP solutions need to have the flexibility to support different deployment models, including on-premises and hosted alternatives. As growing companies merge with or acquire other organizations, they often face the challenge of reconciling incompatible ERP systems. A common platform to share data is the optimal solution. Looking out the business demands, Cloud powered ERP would be the best optimal solution to support the SMEs from the perspective of business requirements and scalable solution. Bearing all this in mind, it is clear that selecting the right cloud powered ERP solution is a strategic decision for the company that will have a huge impact on the business or organization performance. Below is a list of key criteria to take into account when choosing a new cloud powered ERP solution. -Flexibility and Scalability: It is flexible to change as per business needs and scalable to support the business growth. -Ease of use and intuitive user interface: The easier the system is to use, the greater return it will provide. Users need to be productive and self-sufficient through intuitive user interface. -Innovation Technology: As ERP systems have a long lifespan, it is important that their technology is innovative enough to not to become obsolete too early. Technology evolves very quickly and what can be enough today, might be a bottleneck in the future. Currently, cloud-ready solutions that can be accessed from anywhere and any device are a must. -Competitive pricing: As with any investment, it is important that costs are properly distributed over time. If possible, it is advisable to avoid big upfront investments and go with a model that allows you to pay a similar amount every year. -Product Roadmap: It is advisable to look at the product roadmap for the coming years to check if the vendor's vision is aligned with yours and your future business plans. 1. Subscription Benefits: Since all SaaS services are offered on a subscription basis, there are no unexpected costs. Customers know exactly how much the system will cost them this month, next month and every other month which is a very appealing prospect especially for smaller businesses whose funds tend to be considerably smaller. 2. Faster Implementation: Management and setup of an SaaS system are all the responsibility of the vendor so there no real setup or installation process. Most parts of the system will come preconfigured and ready to be setup integrate into your business. This results in a much faster and simpler setup process which ultimately lead to a faster ROI since initial costs are lower. 3. Lower initial Costs: Since an SaaS system requires very little in the way peripherals and such technology normally found in the average non cloud based ERP solution, the costs of running an an SaaS system are much lower as well. 4. Fewer Responsibilities: With an SaaS system all of this is the vendor's responsibility so the customer does not need to worry about any problems that may occur. 5. Enhanced Security: At one point in time, people thought that housing sensitive data in the cloud went against best practices when it came to security. Then they started to see how ERP cloud vendors could actually provide a more secure environment in most cases. They hire the right people to manage the tools and appliances that keep data safe. They are responsible for testing for vulnerabilities and patching systems with exposed weaknesses. 6. Scalability and Availability: If your business experiences tremendous growth, you can easily increase your license size. The reverse is true as well; if your company is seasonal or has to downsize then you have the option of reducing your license size to meet your current needs.The very nature of SaaS offerings is that you can access the application from anywhere. This means that if you can provide access to your staff if you have a remote office, a remote workforce or just someone who has to use the ERP system while at home or while away at a conference. 7. Support: Since your ERP vendor maintains ownership of the software and hardware, they often provide round-the-clock support for their customers. 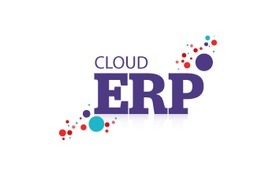 Finally, ERP cloud solutions have matured to the point where they are a smart strategic alternative for SME market. Research from Forbes and ZDNET predicts an increasing adoption of ERP public cloud applications in the next five to 10 years, leading to disruption of the traditional deployment of ERP applications. Organization especially SMEs who don't want to spend money on these resources and don't want to have to manage the application, opting for a cloud-based vendor makes perfect sense.